Practical Boat Owner: Sunseeker has announced that award-winning British actor Hugh Bonneville, and singers, The Overtones, will be their special guests at this year’s London Boat Show on Friday 8 January. 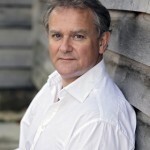 Hugh, who is best known for playing Robert Crawley, Earl of Grantham in the ITV period drama series Downton Abbey, will be opening the stand with founder, Robert Braithwaite. The 2016 London Boat Show will run from 8-17 January at ExCeL, London Docklands.